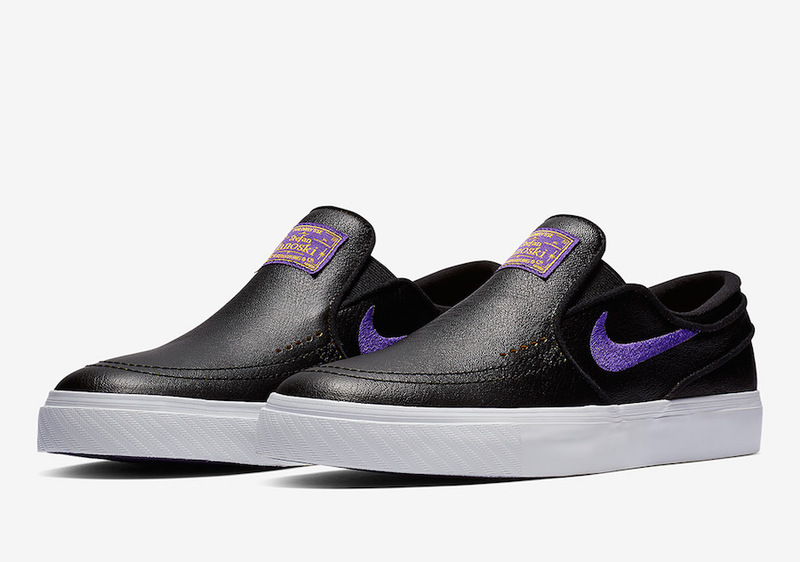 Two Nike SB Janoski editions is now being added to the NBA x Nike SB Collection which will represent the Los Angeles Lakers and the New York Knicks. 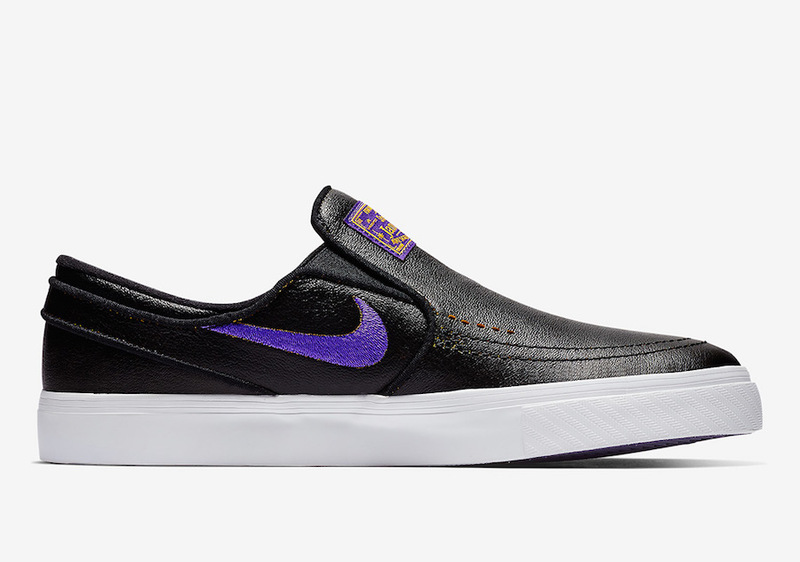 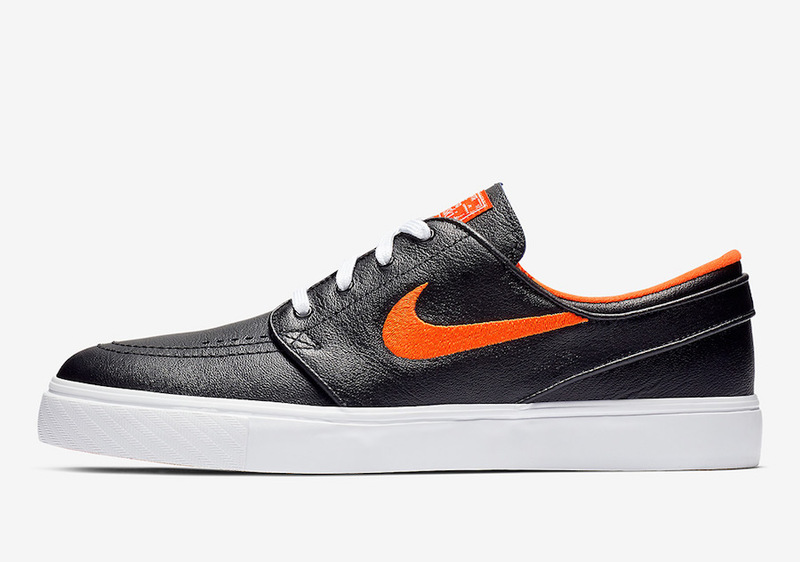 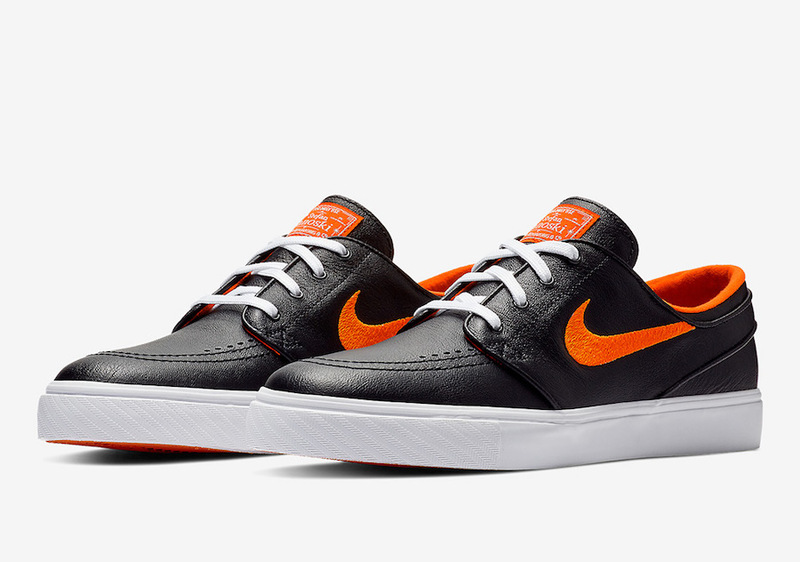 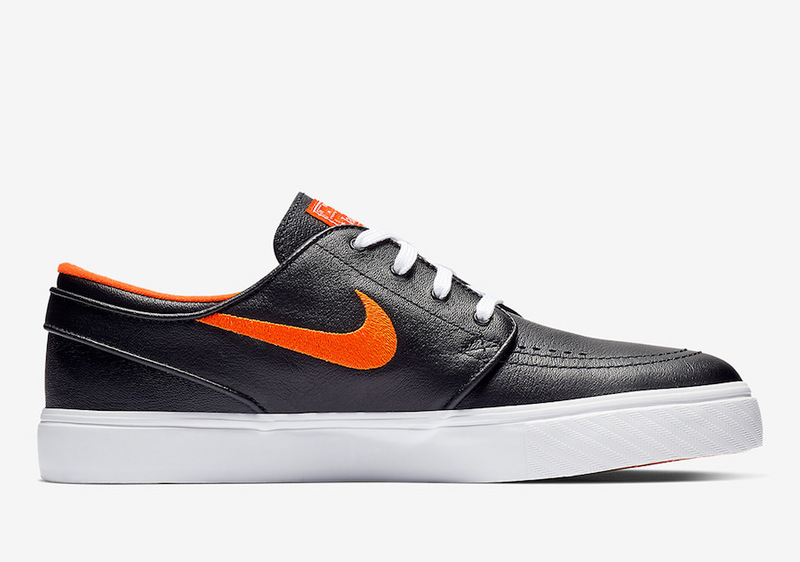 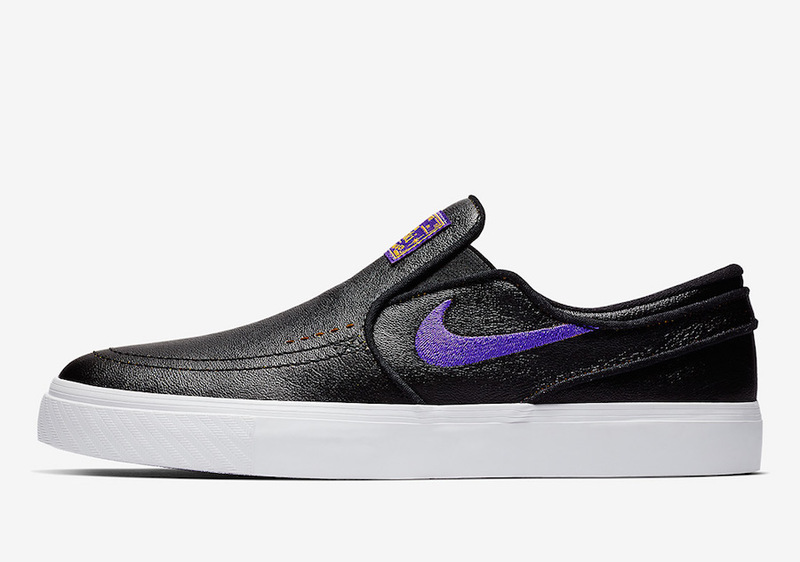 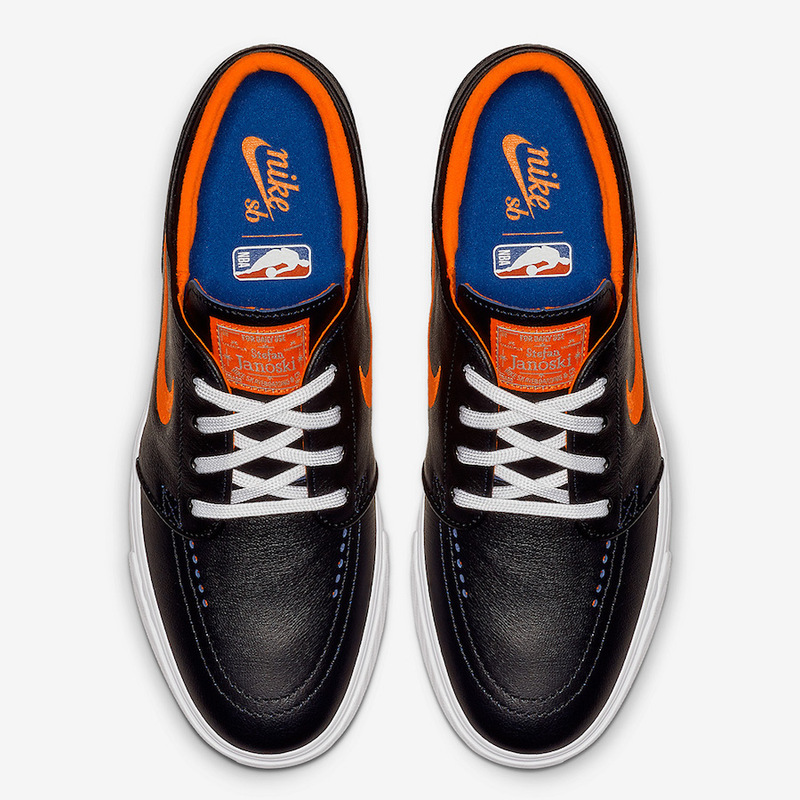 The Nike SB Stefan Janoski is releasing for the Knicks while the Slip edition is for the Lakers. 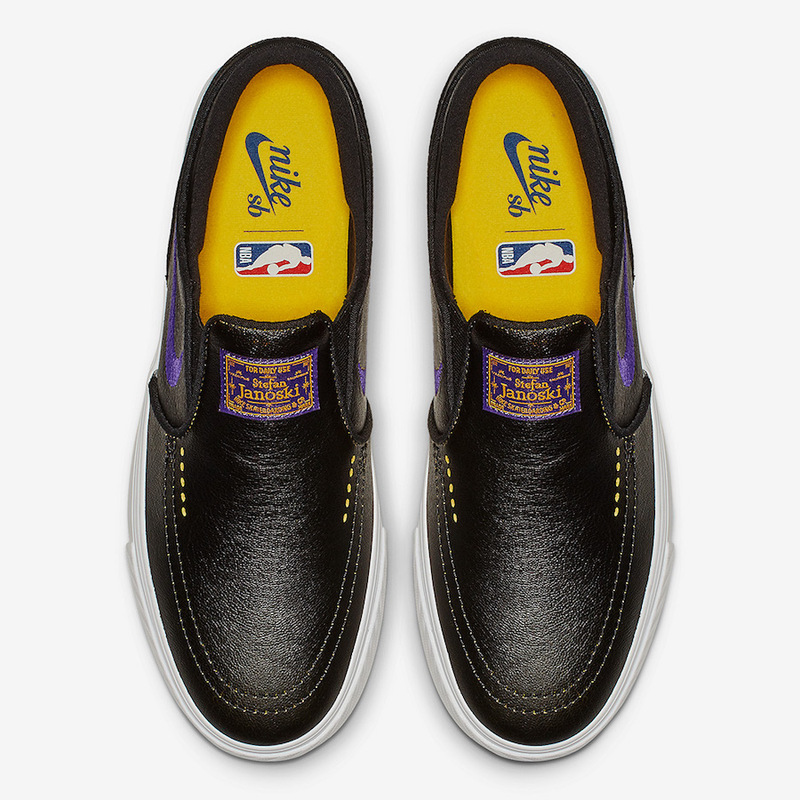 Both feature Black leather across the upper while either Orange (Knicks) or Purple and Yellow (Lakers) is used. 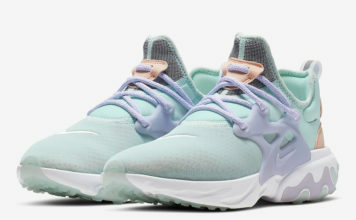 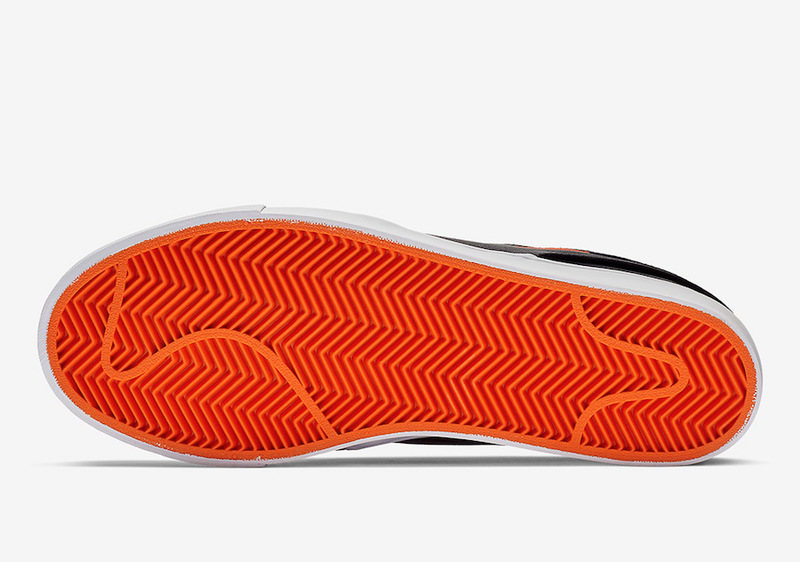 Other details includes co-branding on the insoles, White on the midsole and colored outsole. 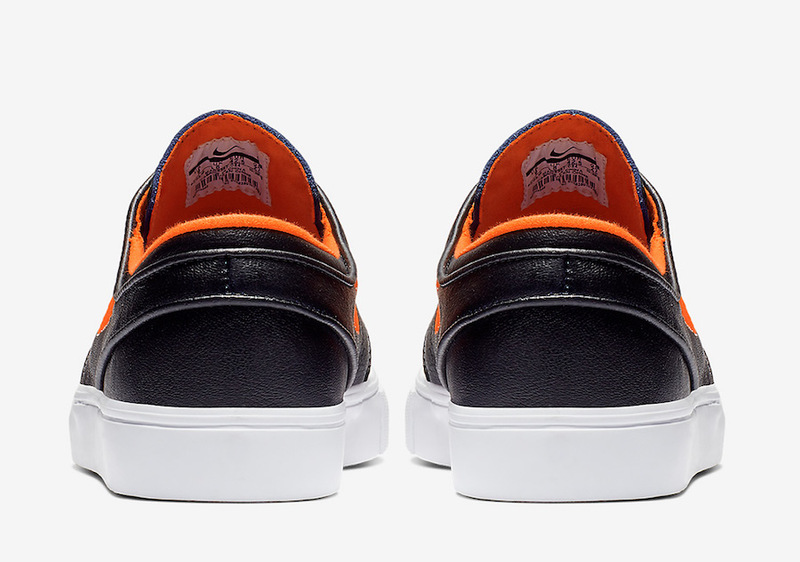 You can expect both of these Janoski’s for the Lakers and Knicks to release part of the rest of the collection at select retailers and online at Nike.com on January 21st. Continue to scroll below to check out more images which will give you a closer look.